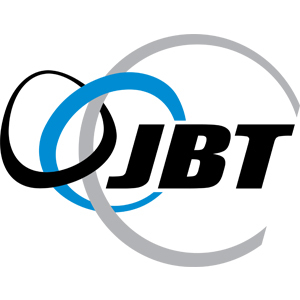 JBT is a leading global supplier of automatic guided vehicle (AGV) systems which provide unmanned, routine movement of materials to support facility operation. 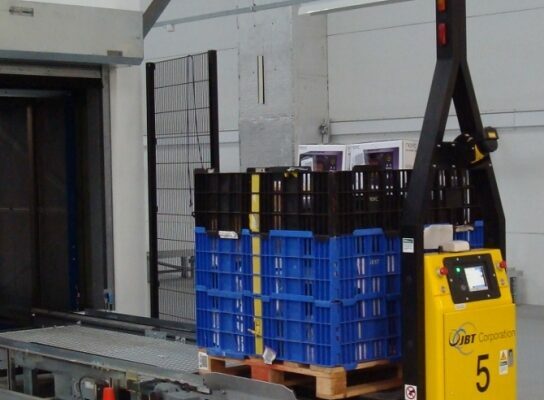 AGV systems are most commonly used in manufacturing plants and warehouses to store and retrieve materials, deliver raw materials, move work in process and finished goods and remove waste. 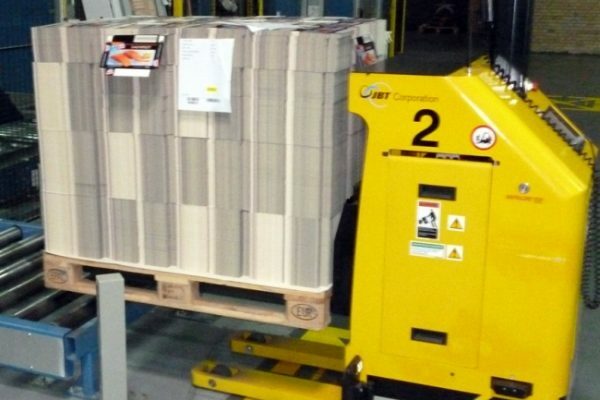 AGVs can also deliver packaging materials to the point of use including empty pallets, containers, lids, plastic wrap/labels, and cardboard. 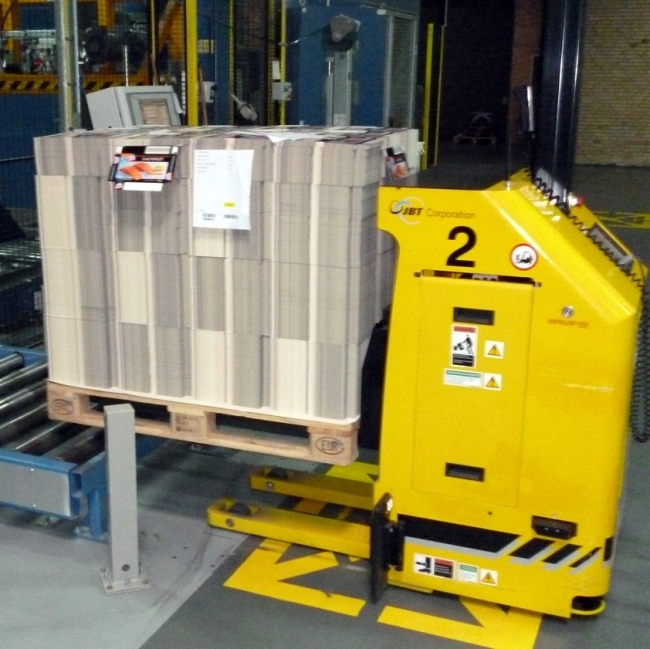 AGV systems reduce costs (labor and damage), improve safety and increase operational efficiency with on-time delivery of the correct materials. The system includes user-friendly system management software which optimizes vehicle deliveries and traffic control. This software features a real-time, virtual map of the system in operation and users can simply point and click on objects to interface with the system. 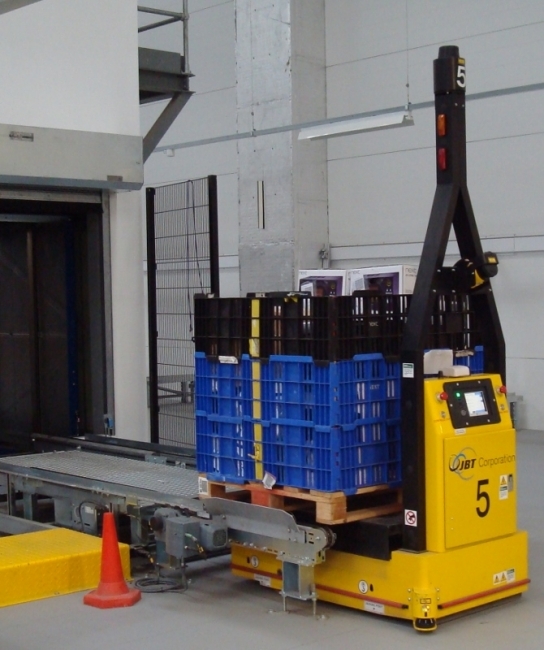 The European Operations for JBT’s AGV product line includes vehicle design and manufacturing and has been proudly located in the UK for over 25 years.